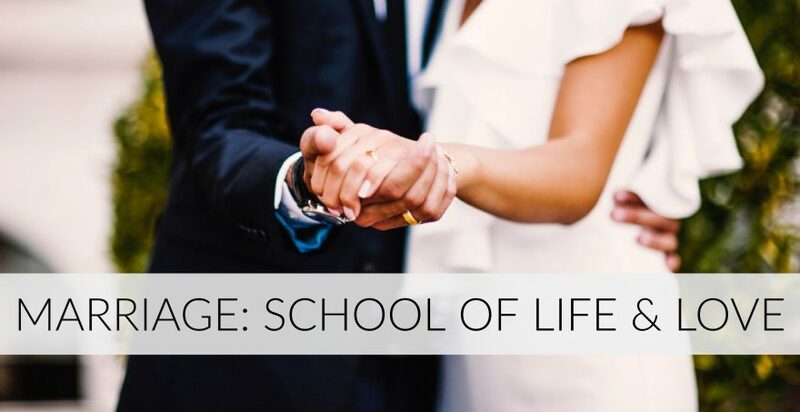 The Church teaches that there are two ends or purposes of marriage: the unitive – the intimate union of man and woman – and the procreative – the fruit of their union. Married love is life-giving, fruitful. “And if each of these essential qualities, the unitive and the procreative, is preserved, the use of marriage fully retains its sense of true mutual love and its ordination to the supreme responsibility of parenthood to which man is called” (Humanae Vitae, no. 12). A child is the incomparable gift of marriage between a man and woman. Procreation is a wonderful and awe-inspiring participation in God’s creation. From the beginning of creation, God intended that man and woman partake in this transmission of life “to which marriage and conjugal love are by their nature ordered: ‘Be fruitful and multiply, and fill the earth and subdue it’ (Gen. 1:28)” (Mulieris Dignitatem, no. 6). The gift of human life is meant to arise from a mutual cooperation between God’s love and the love of the couple. Moreover, it is the fruit of the mutual self-giving of the spouses in marriage (see Mulieris Dignitatem, no. 18). This beautiful interplay of cooperation and mutual self-giving are vivid examples of how God continues to create life through those who welcome it. Every married couple forms a community of life around them, but not every couple will experience this through the gift of their own child. This can be a source of great pain and discouragement. Infertility is on the rise in the United States and many couples who dreamed of large families are faced with the unexpected inability to bear children. However, God still wants the couple to partake in His creative love. He desires that every marriage be fruitful. The fruitfulness of Christian marriages “expands and in countless ways makes God’s love present in society” (Amoris Laetitia, no. 184). (1) If you are a parent, how has your child (or children) been a blessing to you? How have you changed for the better since becoming a parent? (2) If you do not have children, how do you demonstrate the mutual gift of self in other ways that serve as an example to your community? What other life-bearing fruit has God born through you? (3) Do you know a couple experiencing infertility or miscarriage? How have you accompanied them in their pain?